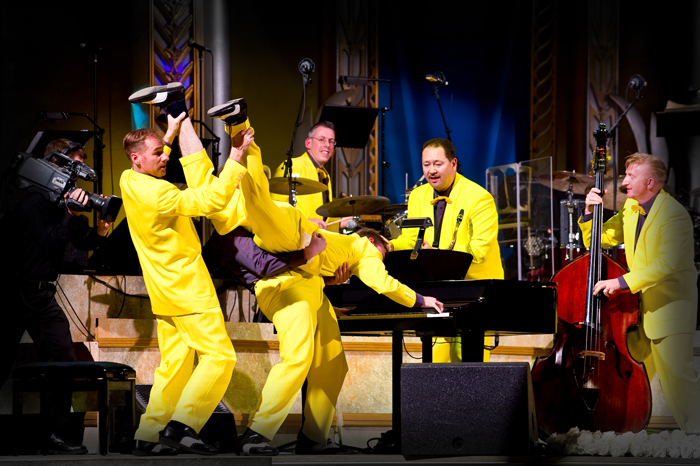 THE JIVE ACES live session and in interview – Amazing! Michelle Ward was joined by the incredibly talented band, THE JIVE ACES, back in the studio to talk about their new up and coming tour. The band came in to the Eat My Brunch last May during their last tour and if you missed them then, its your chance to see this band live. The band played four live tracks in the studio and the listeners totally loved them. If you want to see them live, be quick! Their shows sell out.